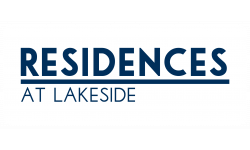 If you want a new start then look no further than the Residences at Lakeside! Here at Residences at Lakeside we offer spacious luxury apartments in Lombard, IL. Our modern one, two, and three bedroom apartments have been updated to have sleek appliances and features. Browse through our photo gallery and see just a bit of everything Residences at Lakeside has to offer! If you’re ready to call Residences at Lakeside your new home then feel free to give us a call at (630) 352-3032 or stop by our leasing office today with any questions you may have about our apartments in Lombard! We can’t wait to help you start your new chapter in Lombard, IL!